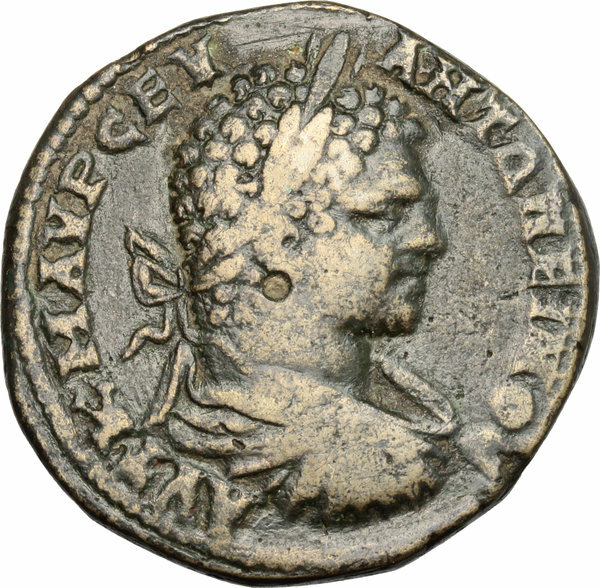 Coins 273 Caracalla (198-217). AE, Thrace, Serdica mint, 198-217. D/ Bust of Caracalla right, laureate, draped, cuirassed. 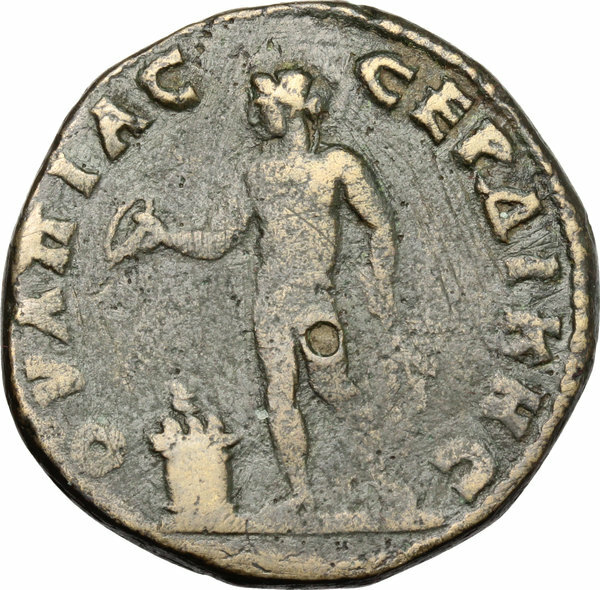 R/ Apollo standing left, holding patera over flaming altar and laurel branch. Varbanov 2156. AE. g. 23.05 mm. 30.00 Brown patina. VF. Olive green patina.